Trustmarque Solutions is committed to delivery of a quality service to our customers, and to continually improving performance via our quality assurance programme, which is fully integrated into our business. Our approach to quality management is “bottom up” and our quality processes are written by and for individuals within each department. Assisted by a quality manager, these documents are in a continuous state of flux as we continually monitor performance and strive for self-improvement. All of the quality processes that form part of our quality system are supported by Standard Operating Procedures (SOPs). Our quality processes describe what we do, and our SOPs detail exactly how we do it. As you may expect, the SOPs are also created by our staff. These documents detail how individual tasks are performed; they often contain references back to the systems in use so that any staff member, regardless of their level of experience, can follow these procedures. SOPs ensure that all our people do the same task in the same way. By employing and enforcing the use of quality processes and SOPs, we can ensure we are consistent in the way that we conduct our business. We hope and believe that this will lead to increased customer satisfaction from our clients.By employing and enforcing the use of quality processes and SOPs, we can ensure we are consistent in the way that we conduct our business. We hope and believe that this will lead to increased customer satisfaction from our clients. Whilst we strive for 100% customer satisfaction, on the occasions where our service does not meet your expectations, we are happy to listen to your feedback and log the issue. Where appropriate, we will review the business process and implement any changes as necessary. This process ensures we are continually improving our processes. 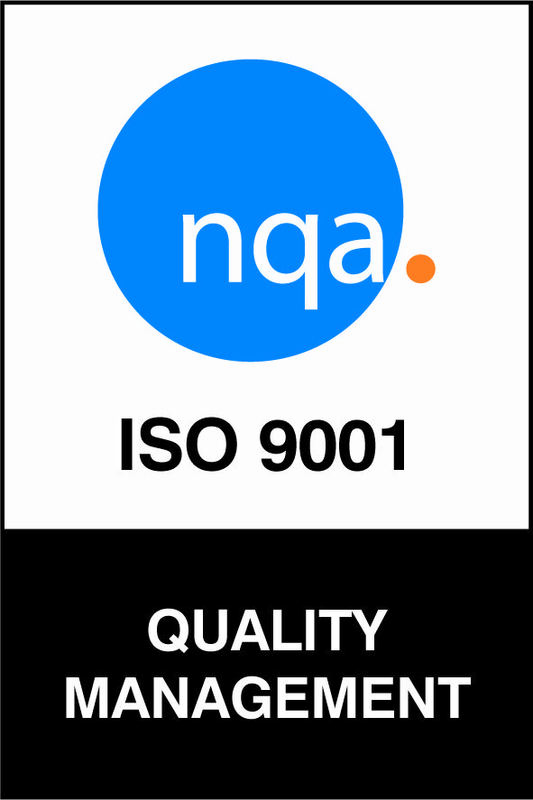 We are proud to have achieved BS EN ISO 9001:2015 certification in partnership with National Quality Assurance Ltd (NQA) and have been continuously accredited since 1993. We are externally audited annually and are internally audited twice a year over 4 days by an external consultancy. In addition, we are also separately audited by customers, manufacturers and buying groups on a continual basis.